Since the 1980s, USAID has worked with the Government of Peru through various projects aimed at strengthening Peru’s public health system. During this time, significant health progress and systemic reforms have been achieved, including decentralizing the health system and securing a mandate for universal health coverage. However, significant challenges remain to operationalize these changes. Difficulties financing the Universal Health Insurance scheme continue to impede access to quality care by the most vulnerable populations, such as women, children, and underserved populations. The poor quality of health information compromises the ability of health providers to make effective decisions in a timely manner. The health workforce is understaffed, poorly distributed, and lacks solid human resource management to maximize performance and retain workers. Finally, the ability of the system to respond to the unique needs of different regions in the country is weak, and the decentralization process remains incomplete. Health workforce development – developing policies for and improving the implementation of human resource management. 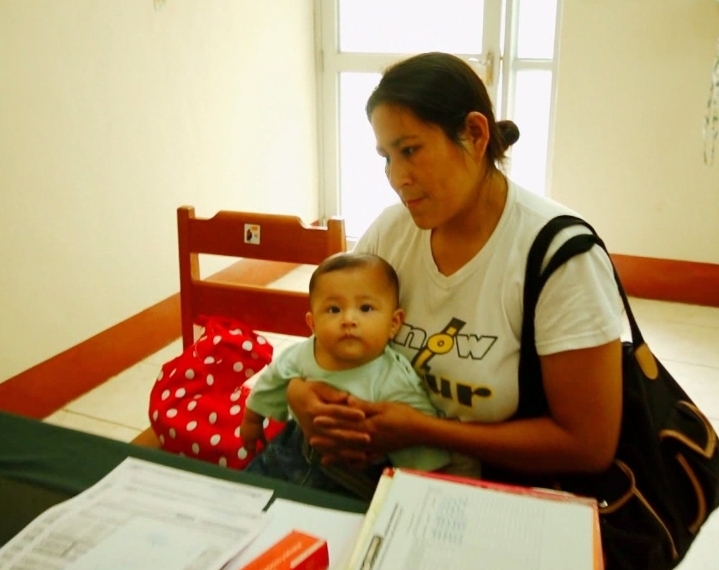 Building on this legacy, Peru now seeks to standardize health management approaches across local, regional, and central government stakeholders, and to ensure that documentation exists to sustain the implemented improvements when donor support ends. HFG is providing assistance to Peru’s MoH and the Regional Government of San Martin to help ensure the institutionalization and sustainability of these reforms, which include improving nutrition at the regional level. HFG’s technical assistance includes stakeholder meetings and workshops, and the development of toolkits and guidance for health facility managers, policy-makers, NGOs, international partner organizations, and other implementers. HFG is designing and developing a user-friendly online toolkit to help match user needs with the appropriate tools. Through the past projects, a number of tools and approaches have been defined and developed to strengthen regional health systems in Peru, especially in the area of governance, human resources, financing and health information systems. These tools have been implemented in some regions, but others that wish to adopt them may not have future access to technical assistance to do so. The new toolkit will include the methodologies and tools used in the past, and be available to Peruvian institutions and stakeholders, with the broader purpose of improving and scaling up health system components under decentralization. In addition, HFG will ensure that stories and cases of how the tools were used will bring to life their application. HFG will work with the MoH team to house the site at a permanent institution in Peru and present and disseminate the toolkits through public and international forums. 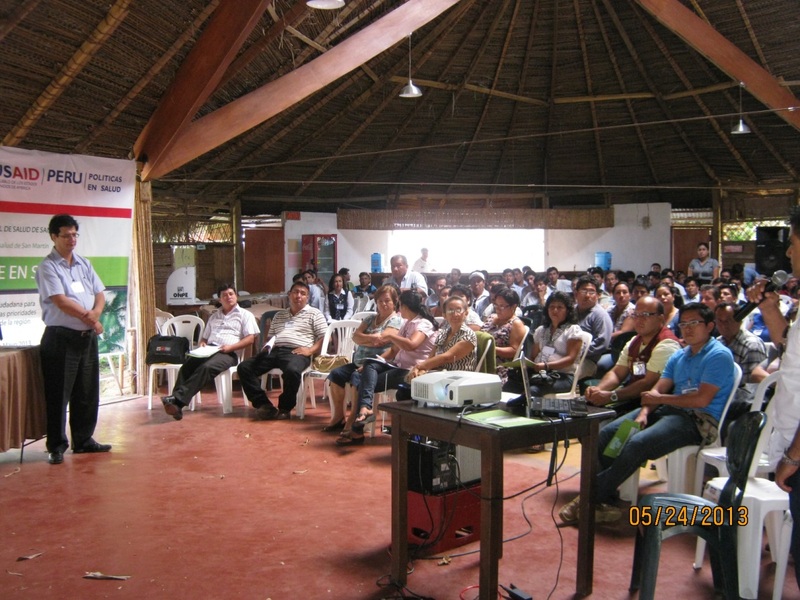 Stakeholder meeting in the San Martin Region. To assist the San Martin Regional Health Directorate with their ongoing governance and financial reforms, HFG will advance the implementation of new organizational frameworks within the regional government. HFG will also consolidate improved strategic budgeting procedures, financing modalities, and payment mechanisms for the region and its communities. The lessons learned in San Martin will be documented through a case study, so that other regions carrying out health system reforms may benefit from their experience. The HPR Project developed and piloted the rollout of the “GalenPlus” health management information system (HMIS) with the MOH and built the Ministry’s capacity to utilize the software. Under HFG, this rollout will continue as the software will be adapted and modified to support clinical decision making and more robust managerial analysis. HFG will continue to support the MOH’s implementation of the improved GalenPlus software at regional and sub-regional levels. HFG will also help build MoH technical capacity to lead the roll-out of the HMIS within public health facilities and maintain the systems once installed. Finally, HFG will assess the institutionalization of the HMIS at the regional level in the region of San Martin. In late 2015, HFG disseminated USAID experience and lessons learned to both the local and international public health community through technical reports and briefs on the activities conducted. In addition to the Ministry of Health, the San Martin Regional Government, and the San Martin Regional Health Directorate, HFG partnered with several other USAID projects.